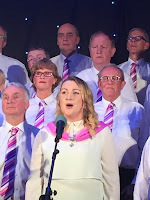 On December 14th, once again the Cathedral in Cavan was packed to capacity for the Christmas Carol celebration that has become the highlight of the season for many. 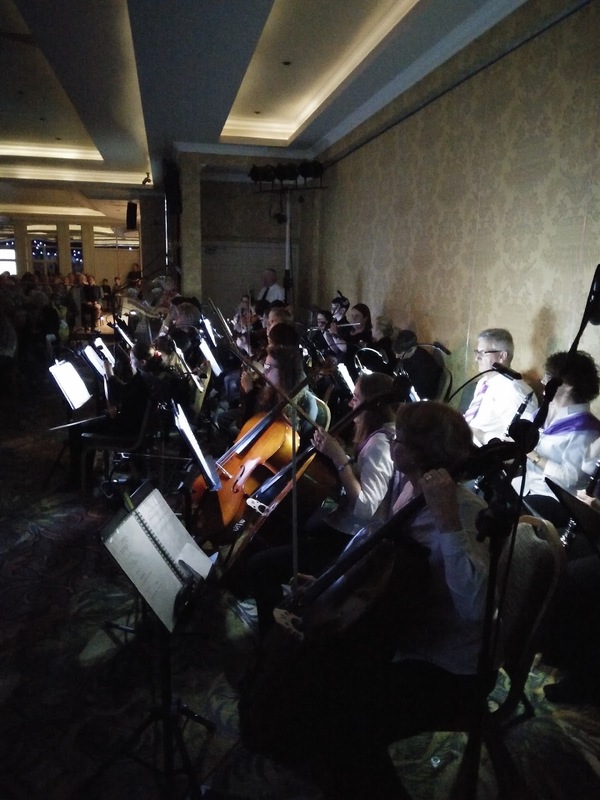 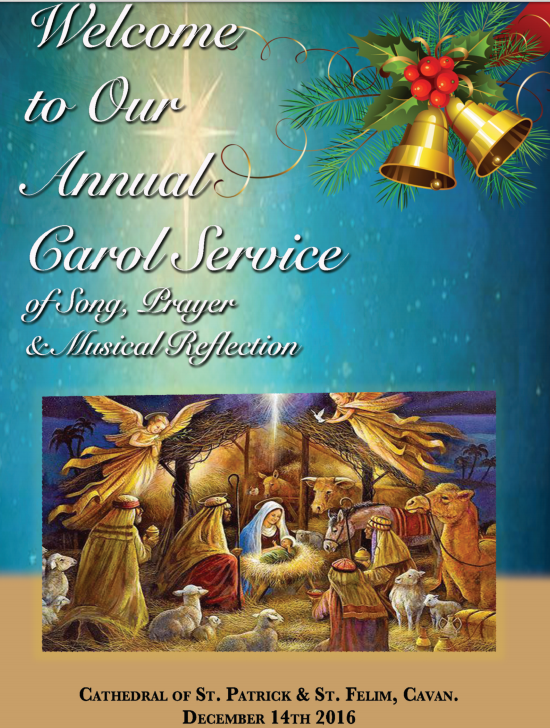 Seven choirs, two orchestras, many soloists and students from local schools, a hard working production team worked together with the parish team to prepare a really lovely service of song, music, reading and light. 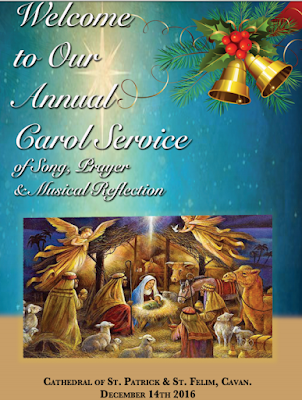 O Come All Ye Faithful (arr. 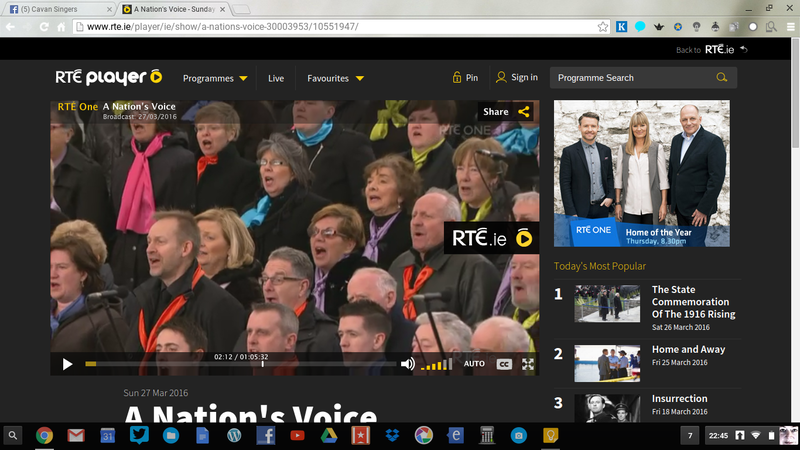 Willcocks), All choirs. 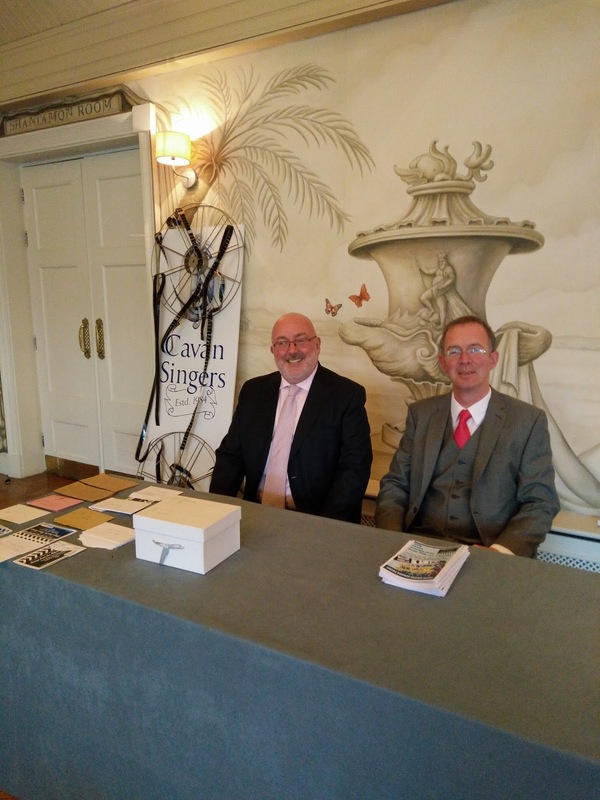 Organists: Ciaran Tackney, Eileen Tackney. Conductors: Eileen Tackney - Cathedral Choir & The Cavan Singers; Ciaran Tackney- St. Patrick’s College; Sue King - Cavan Sinfonia; Carmel Fay & Sarah Scully - Loreto College; Laura Kavanagh - The Royal School; Janet Traynor - Breifne College; Ann Noelle Bennett - Rugby Club Choir. 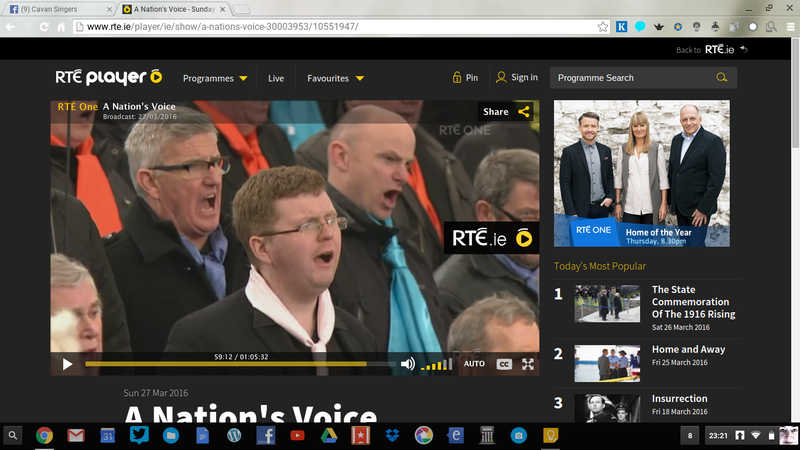 Brass Ensemble: Gavin Roche - Trombone; Colm Byrne - Trumpet; Vicktor Boyco - Trumpet; Brian Daly - French Horn. We took part again in the See House performances as part of 2016 The Festival of the Dead. 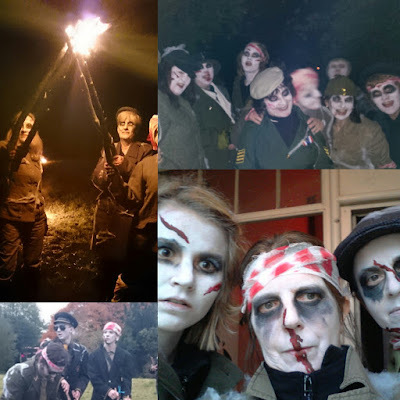 We worked with Eileen, Robbie Perry and his troupe of drummers to form a battalion of very spooky torch-wielding zombie soldiers who both greeted each audience as they arrived from town by bus, and shepherded them back out of the courtyard at the end of the show. It was a long day, between rehearsal, make-up, wardrobe and five performances we were on-duty from 2pm until 2am - but to be fair, we enjoyed every minute. The best fun was hiding in the woodland before each group arrived, watching for Pyrotechnic Paul to set of the flares and light our torches. 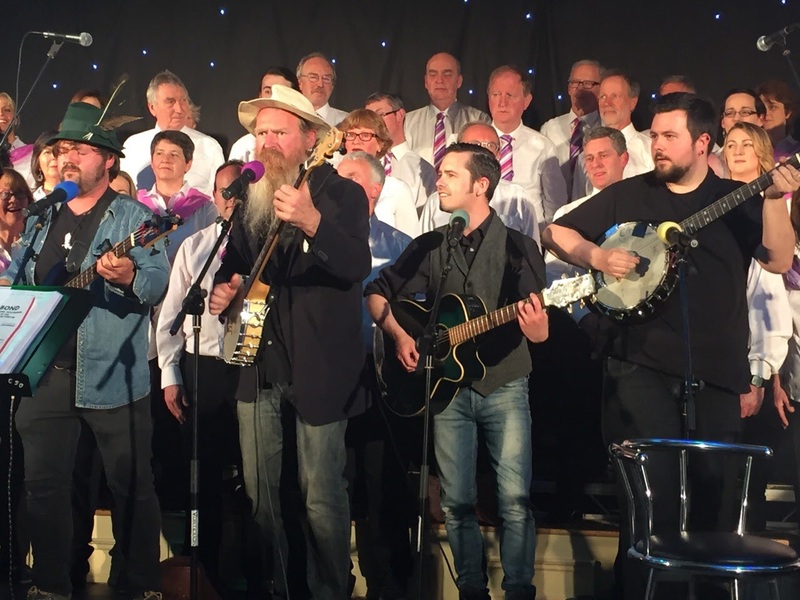 The imagination, drive, creativity, and planning that goes into this project is jaw-dropping...well done to Philip Doherty and the Gonzo crew, all of the Town Hall team, and from our musical perspective, Robbie Perry. 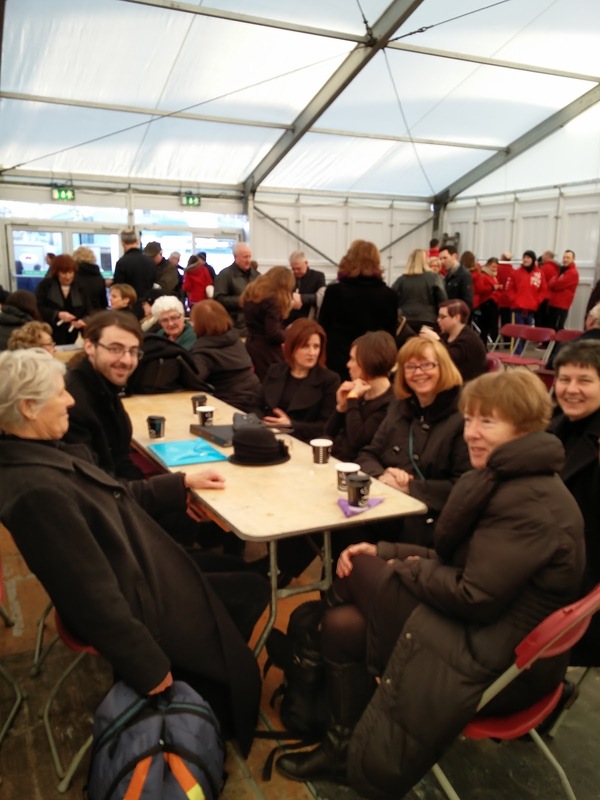 We travelled to Sligo Choral Festival last weekend, on Wharton's comfiest coach, and had a lovely meal together in the Glasshouse Hotel. 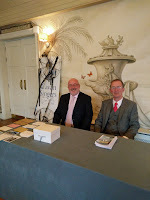 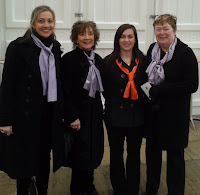 On the morning of our competition, we had a short sharp rehearsal with Eileen, sorted our scarves and ties, before setting out to the Gillooly Hall. 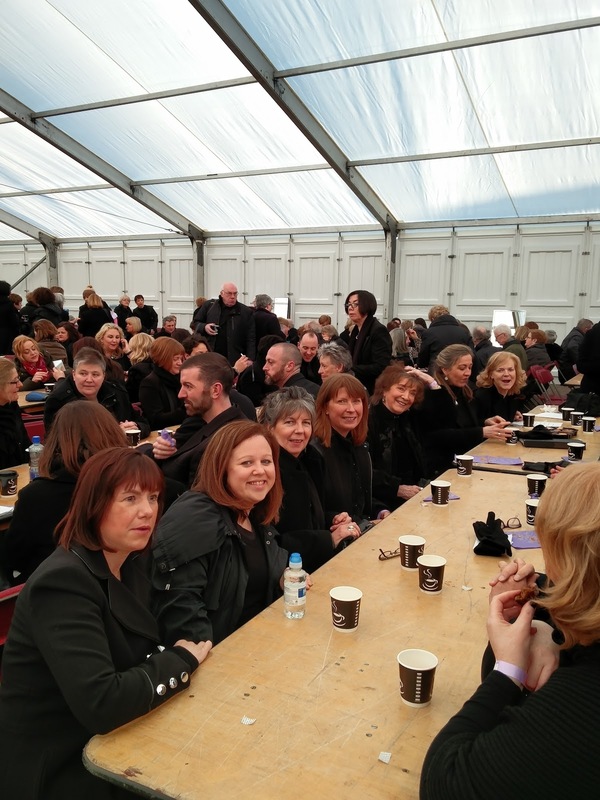 Our competition had 11 choirs, so it was a long but fabulous morning, each choir in turn singing for the others, for the audience, and for the adjudicators who gave us high praise for our 900 miles and Adiemus. 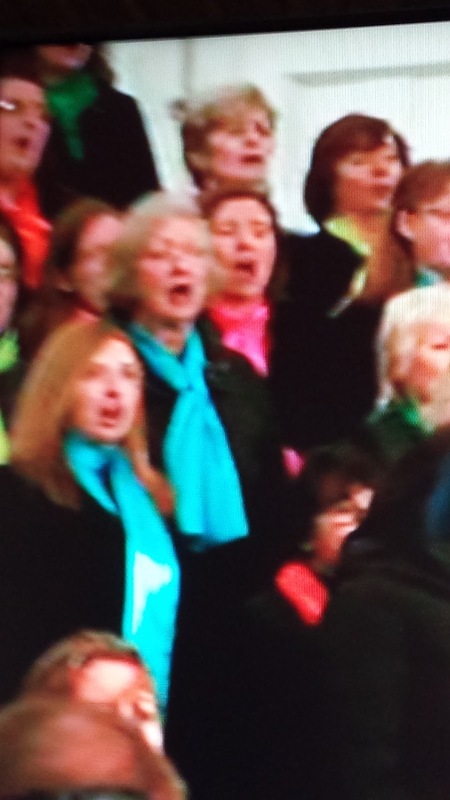 Our section was won by Lumina from WIT (who were our, and the audience's, favourite by far). 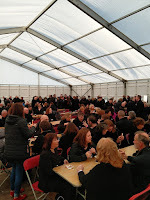 Afterwards we had a great evening in the Glasshouse, dining together and singing into the wee small hours. 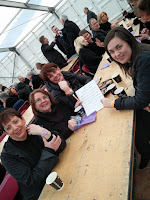 Well done to all organisers of the Sligo Festival - it was a terrific experience, and we will certainly return! 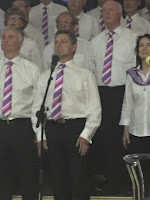 Thanks to the congregation in Ballyhaise Church of Ireland for inviting us to sing 'Songs of Praise' with them on Sunday November 6th, and for their generous hospitality afterwards. 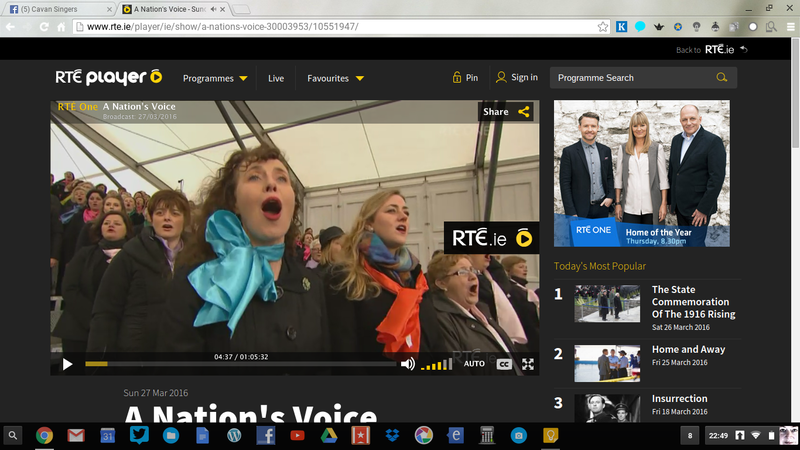 We got the 16/17 year off to a big start DCU on Oct 1st. 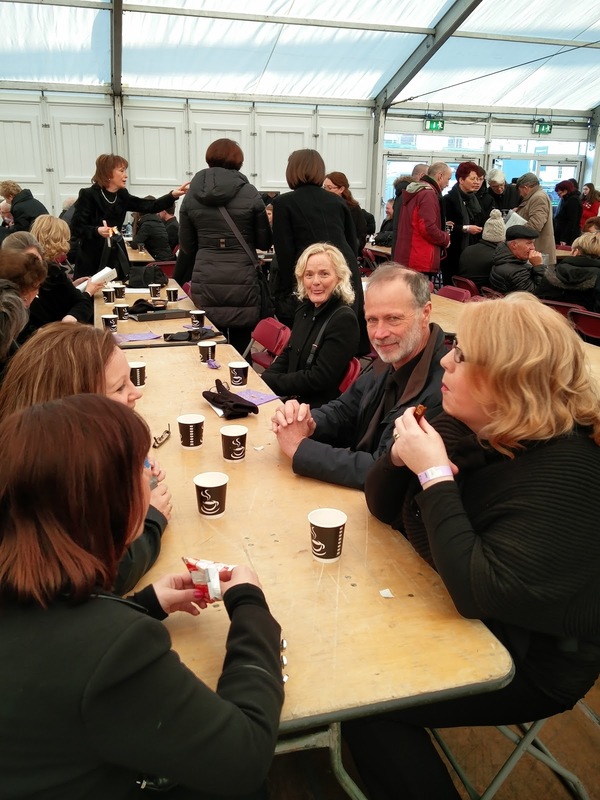 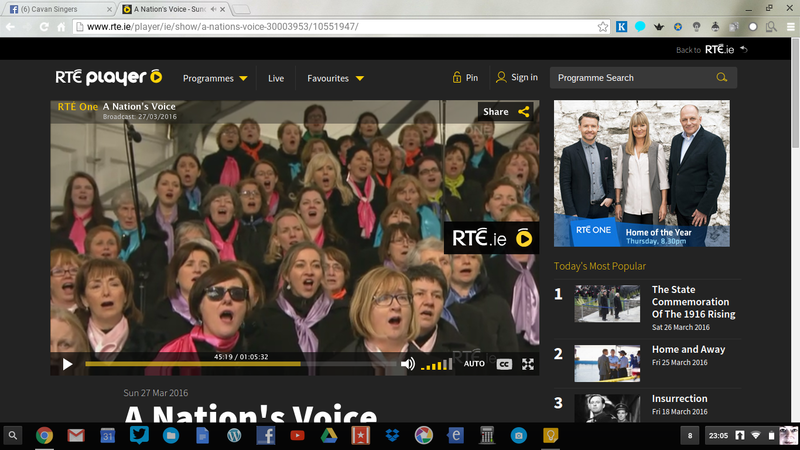 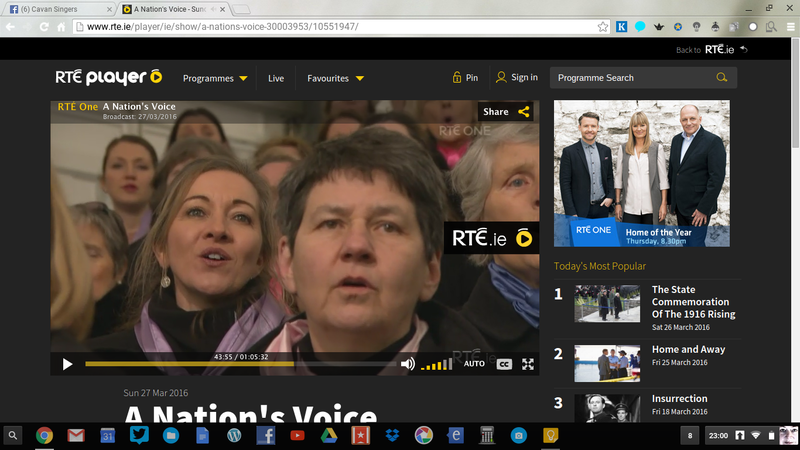 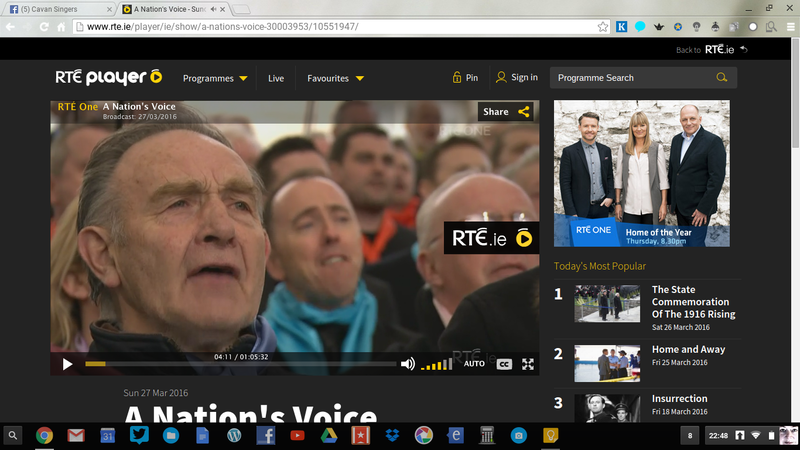 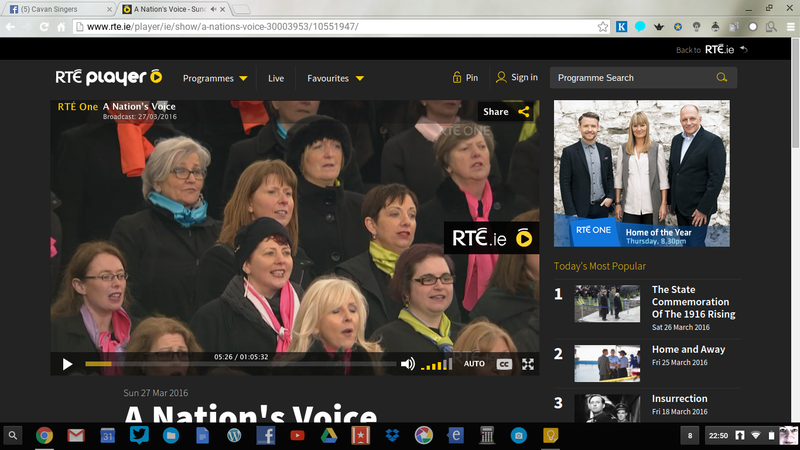 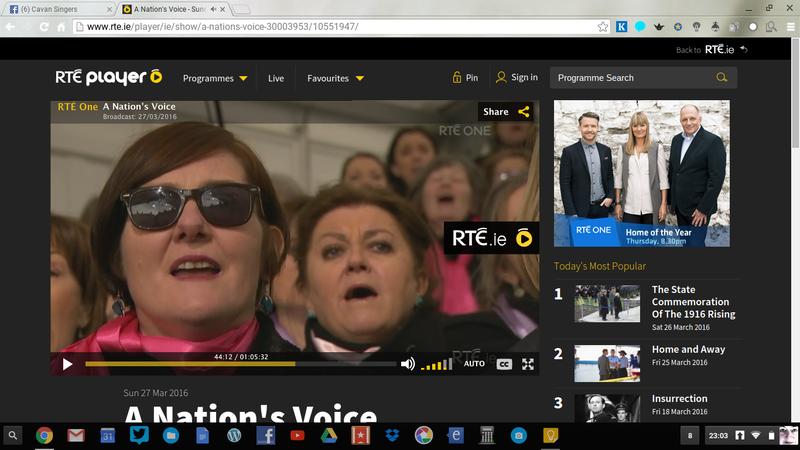 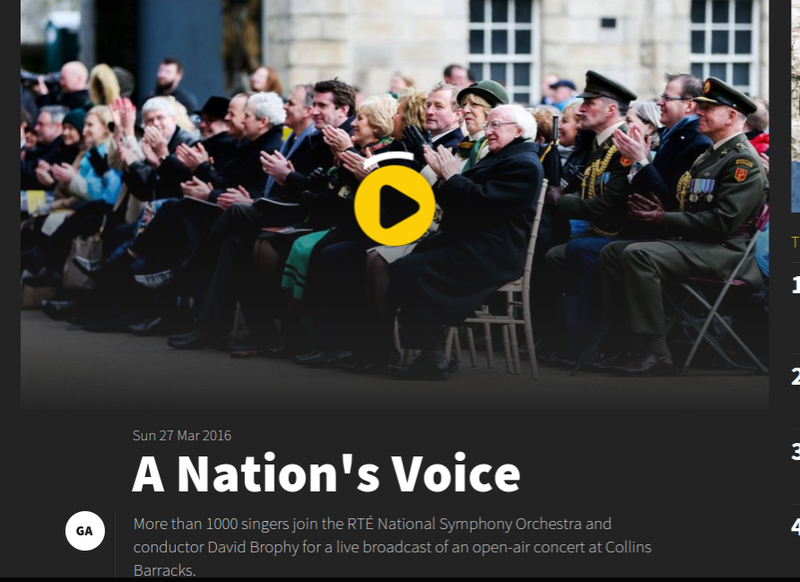 The 100 voices who sang on Easter Sunday reassembled to record A Nation's Voice with David Brophy and Shaun Davey, and the RTE National Symphony Orchestra. 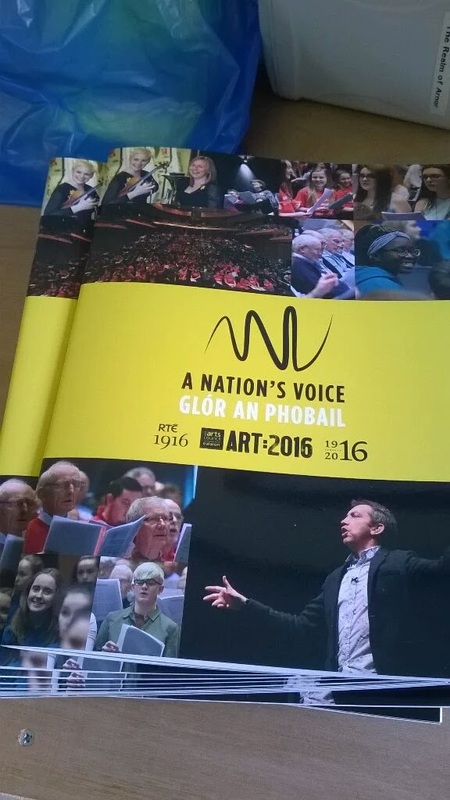 The CD will be available in the RTE Guide in November - so reserve your copy now! 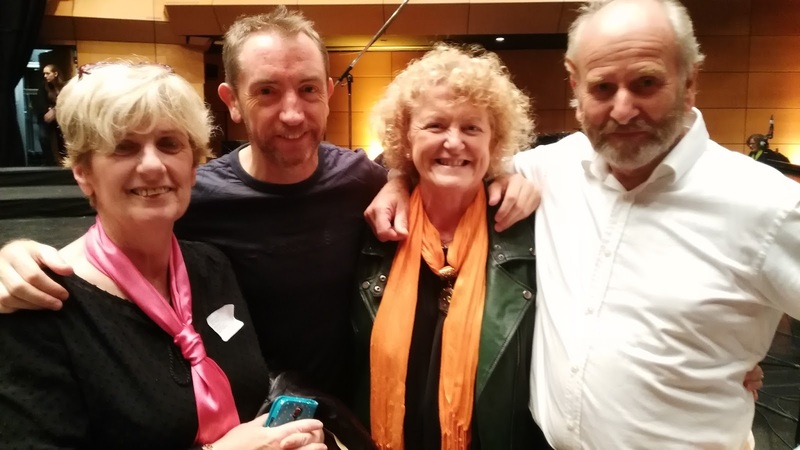 Here we have Brid Brady (Sop) and Nora Kennedy (Sop and PRO) picture with Conductor David Brophy and composer Shaun Davey, after the recording in the Helix. 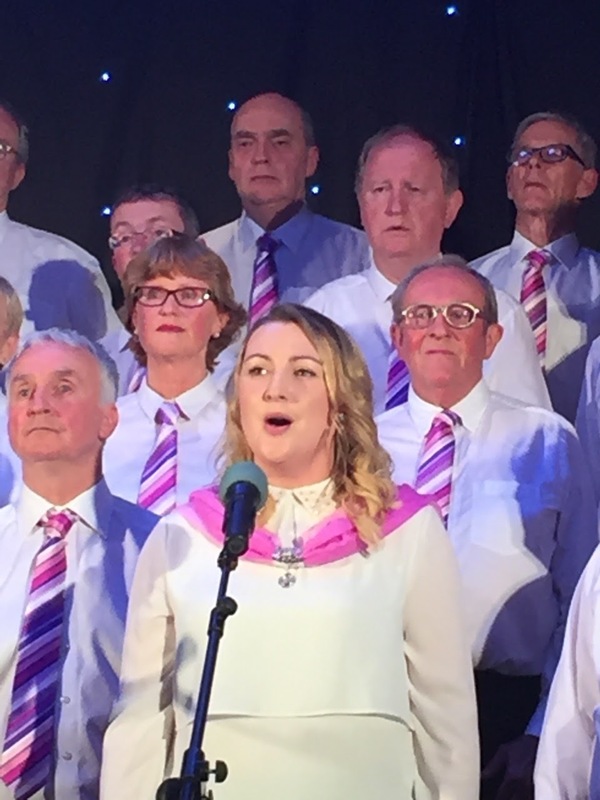 Last night, Cavan Singers winter and spring of trojan work came to fruition for everyone in the choir, guest performers, and audience. Eileen Tackney, our creative Musical Director put together a terrific program of music from movies old and new. 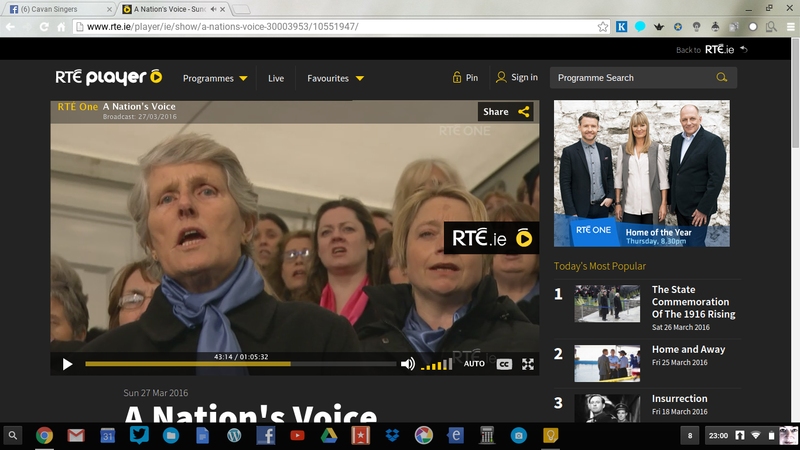 Frances Galligan and the production team got the Kilmore stage, sound, lighting and AV to professional standard. 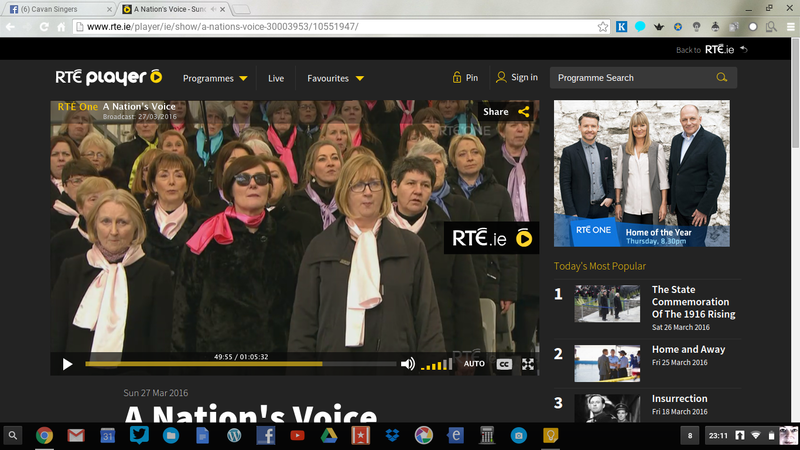 Paul Henry and the staff of the Hotel Kilmore supported us in every request. And best of all, our friends, colleagues and families, who'd came out in their hundreds, were treated to a fantastic evening of music and song. 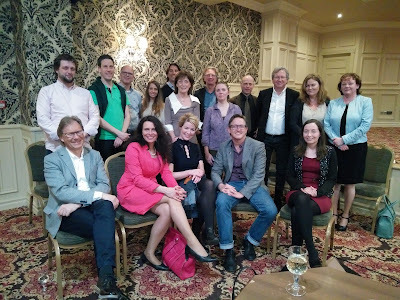 Here's our programme (thanks to Mags Amond, Carmel Gaffney and Nollaig Amond Murray), and some pictures from the evening (thanks to Mary Haren and Dara Hume for sharing these). Ciaran Tackney ­ Accordion/Synth; Dara Mc Manus, Synth; Patrick Gaffney, Conor Flood, Acoustic guitar. 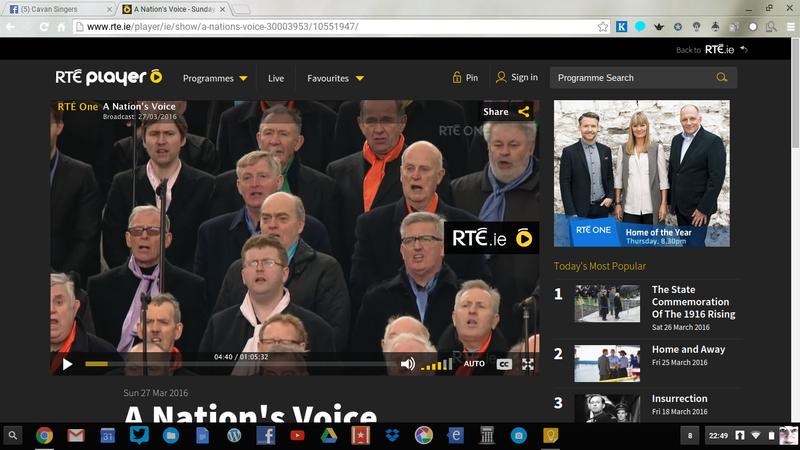 What a versatile lot we are! 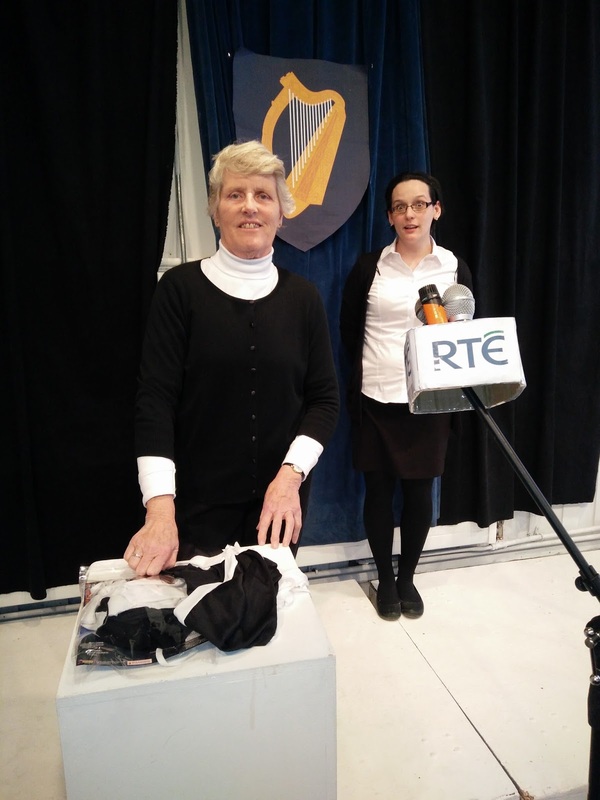 Town Hall Theatre - following our debut collaboration at Halloween, it was great to have Mary Haren, Aine Sullivan, Amanda O'Connor and Ben Charles take part in Proclamation, a multimedia drama on the 1916 theme. 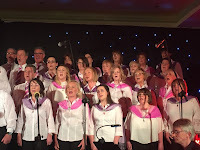 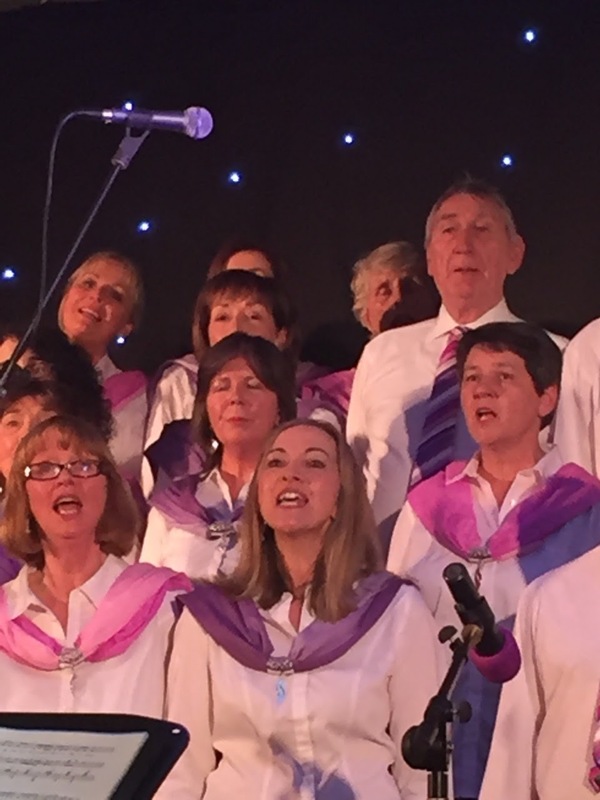 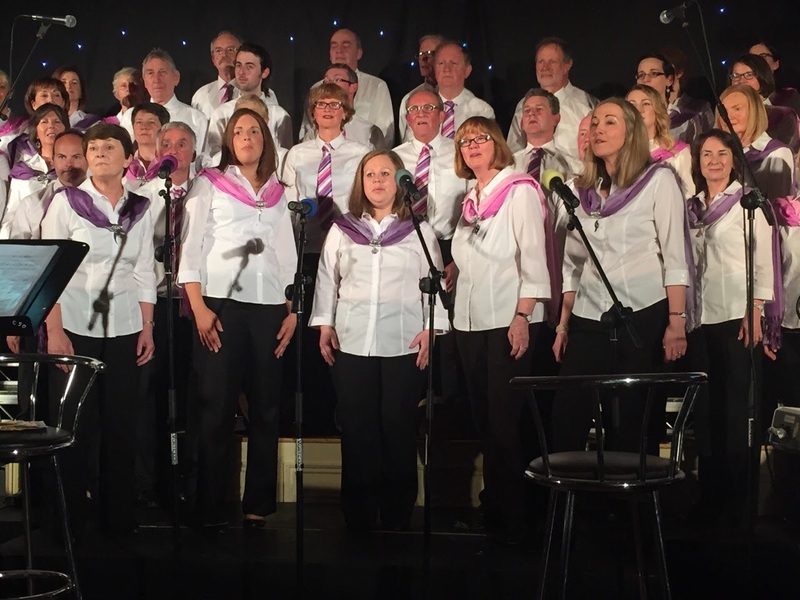 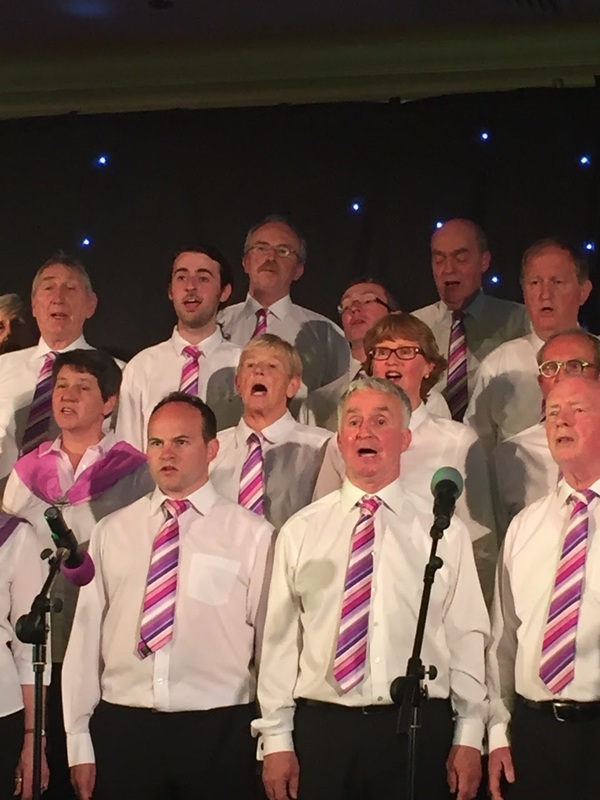 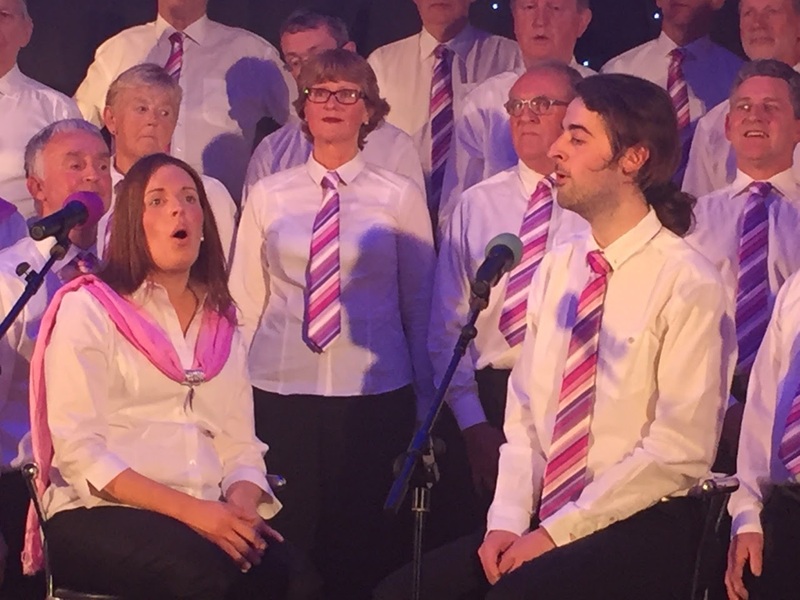 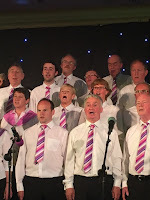 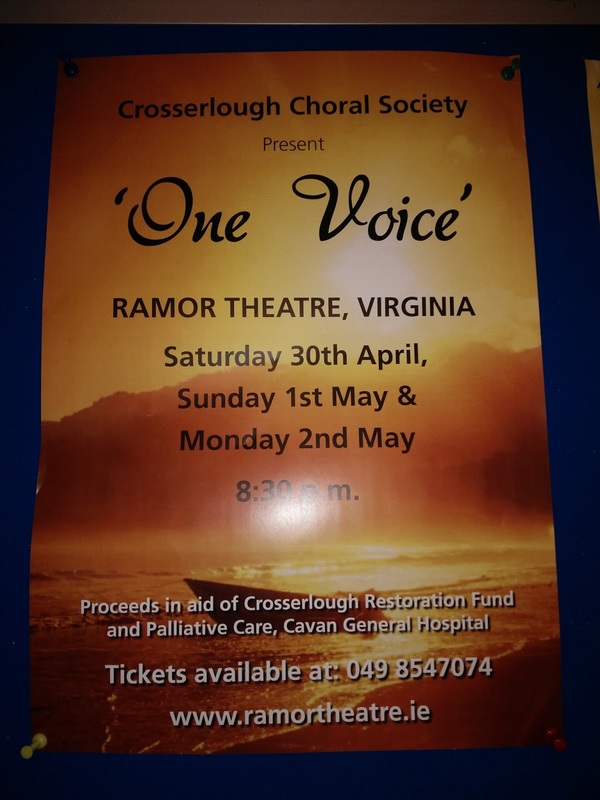 Crosserlough Choral Society - Martina Lee Boyle, Conor Kiernan and Mairead Conaty all took part in the wonderful One Voice Show at the Ramor Theatre Virgina over the May Bank Holiday weekend. 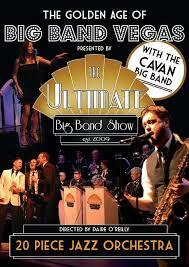 Cavan Big Band - Aedine Browne and Tony McMahon are taking part in the Big Band Show Las Vegas Show in the Ramor theatre, tonight May 13th. 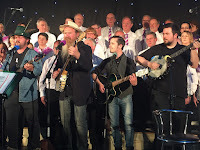 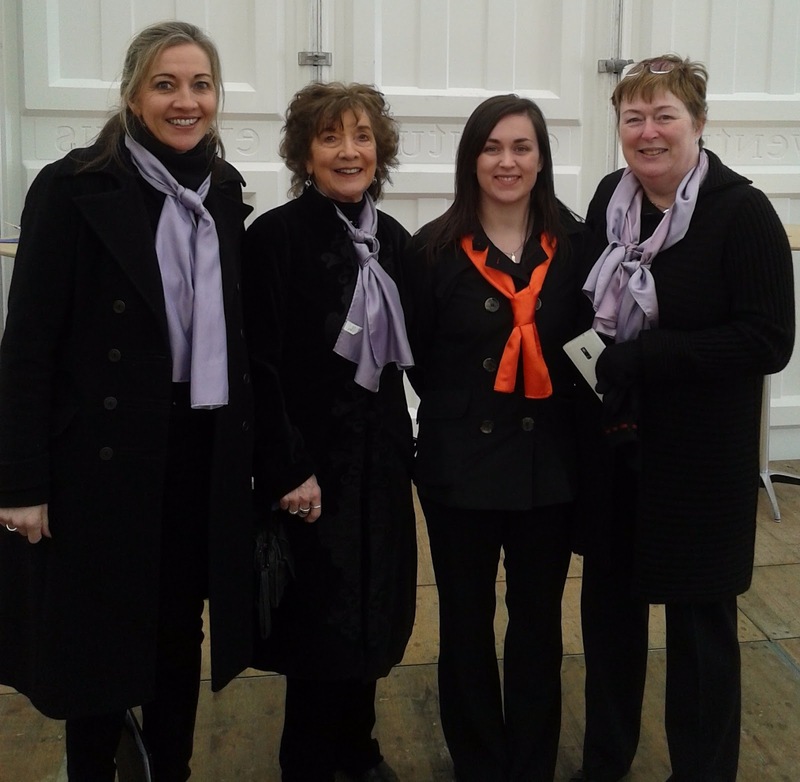 We were invited to sing at the official Cavan Centenary Celebration at the Courthouse on April 23rd. 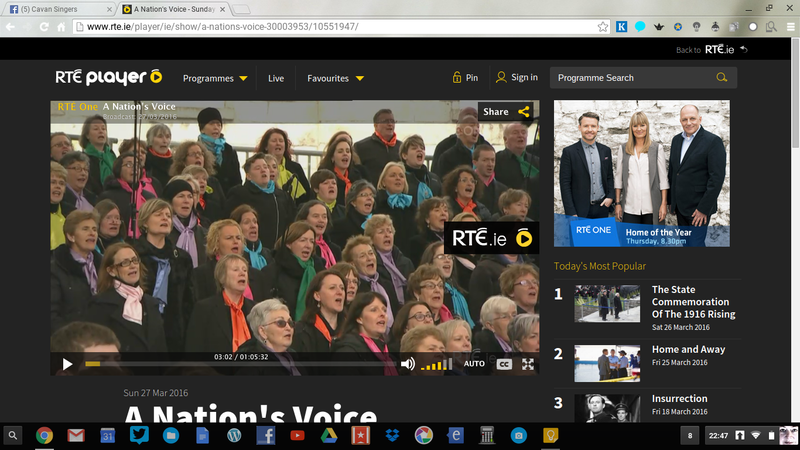 This gave us the chance, with special permissions, to sing again our A Nation's Voice piece, One Hundred Years A Nation. This time we sang it conducted by our Musical Director Eillen Tackney, with Sue King accompanying us on keyboard. The student choir of Cavan Royal School and their teacher, our soprano Laura Kavanagh, sang the childrens' chorus. 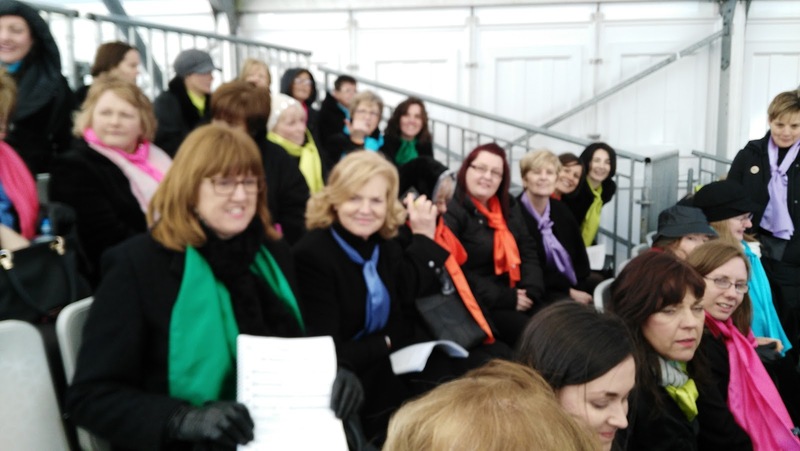 It was a nice surprise to have a small audience for our rehearsal this week - normally we sing to the four walls. Our Chair, Carmel (alto) invited a group of teachers from all over Europe to join us, as apart of their Erasmus+ project visit to Loreto College. They were a very appreciative audience - hopefully our performance will give an added dimension to their impressions of Cavan. 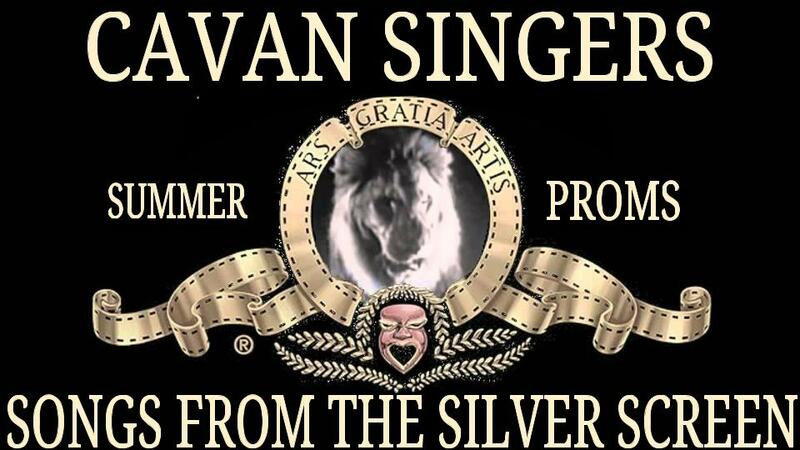 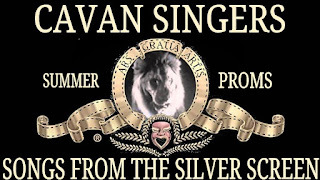 We injected a little anarchy to our rehearsal last evening, and made a short video promo for our forthcoming proms, Songs From The Silver Screen. 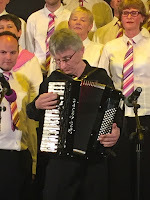 We had our Happy alto group of Mary, Rachael, Clare, Phyllis ans Clare; we had an assortment of clappers, and some very groovy dancers. The result is 60 seconds of song, percussion and (ahem) dance, all on a shaky unedited video clip. 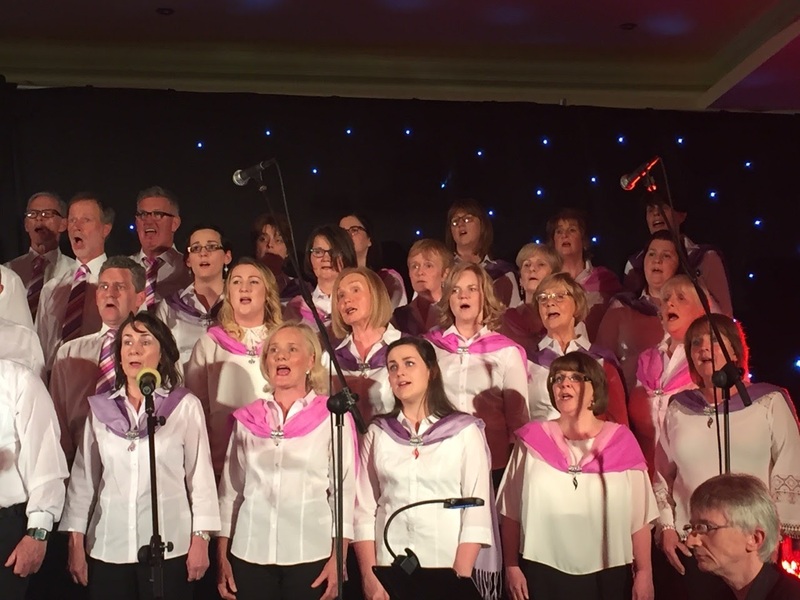 Who knows, we may try a few more, so mark the calendar for May 19th in the Hotel Kilmore - don't miss miss ou Summer Proms! 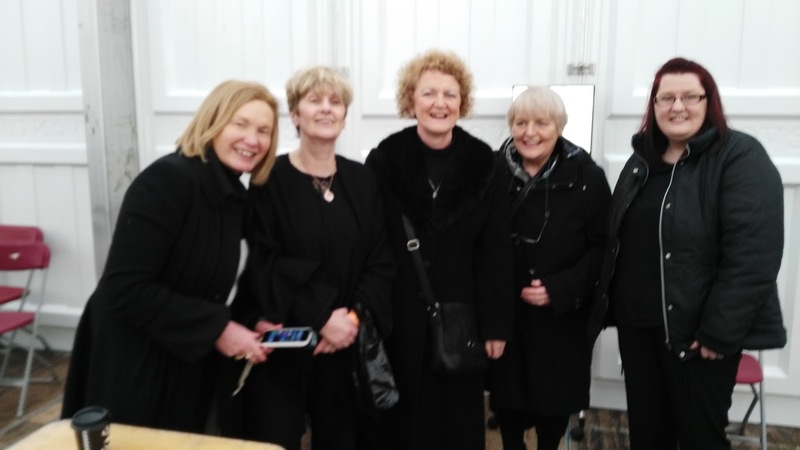 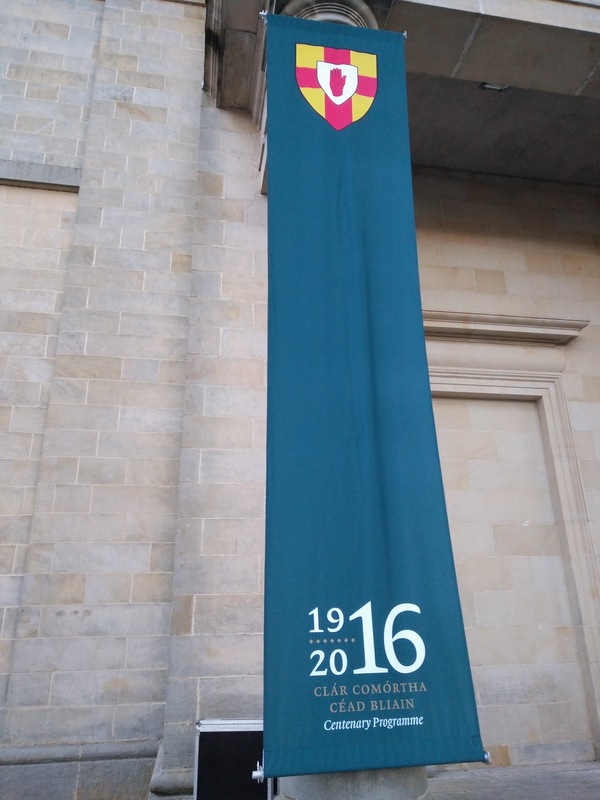 Mary Haren's reflection on our 1916 experience was published on the Arts Council blog. 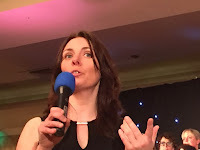 Thank you Mary, for a perfect summing up of our adventure. 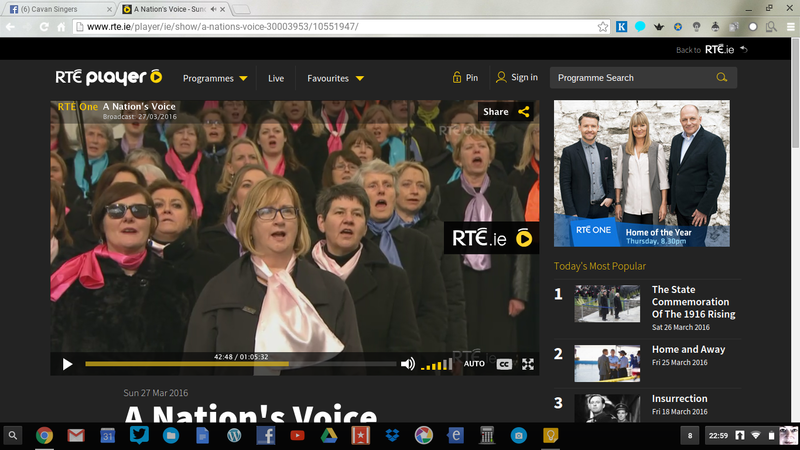 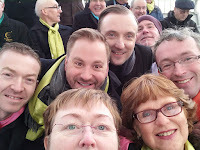 The Cavan Singers were very excited to have been chosen as one of the many choirs from all over Ireland to take part in A Nation's Voice in Collins Barracks on Sunday 27 March to celebrate the 1916 rising. We started rehearsing the music for One Hundred Years A Nation in September 2015. 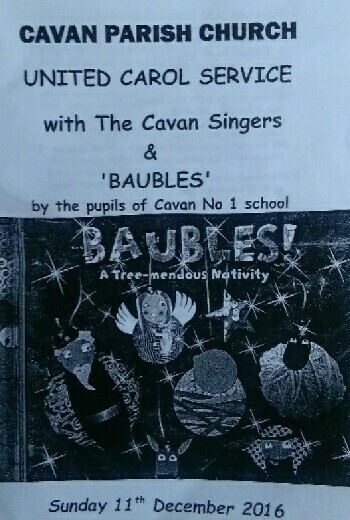 We all realised from the beginning what a wonderful piece of music this was. Our musical director, Eileen Tackney, attended a workshop with David Brophy and came back full of enthusiasm for the project ahead. 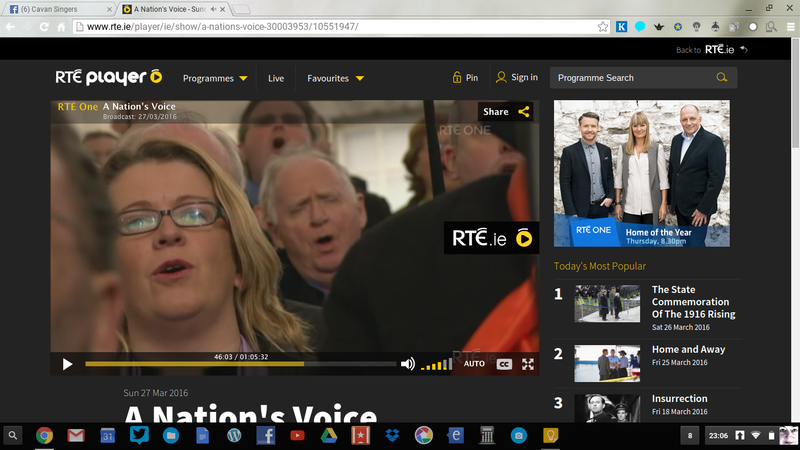 We listened to our lines on CDs and mp3 players in our cars and kitchens and out walking the roads of Cavan. 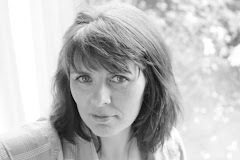 Our heads were full of roaring stags, turf banks, stream beds and yellow bitterns booming. 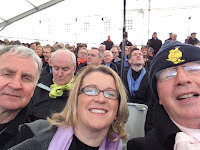 On Easter Sunday morning we headed to Collins Barracks. 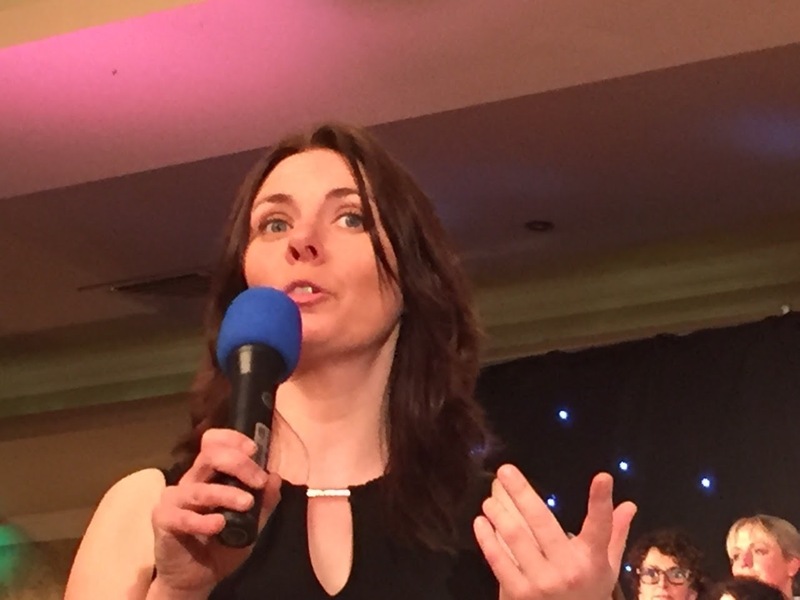 It was amazing to be on stage with 1000 people including 300 children. 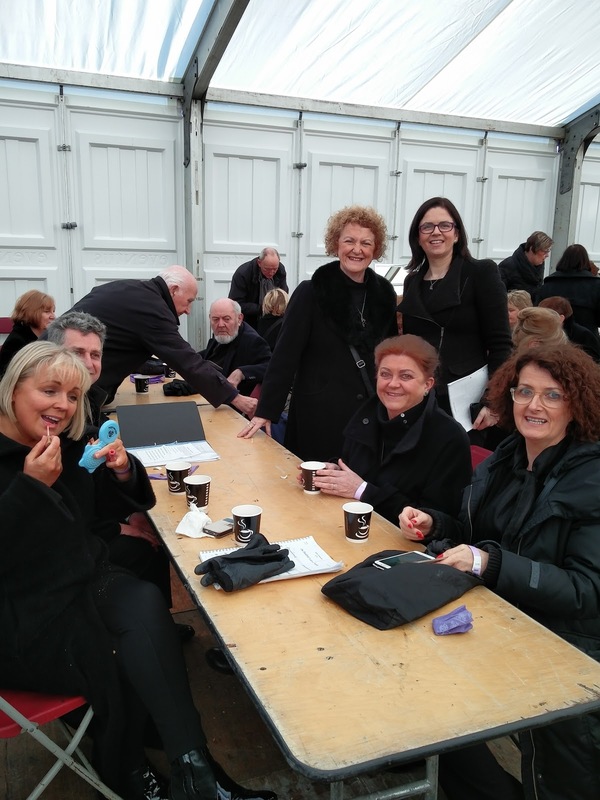 During the morning rehearsal with the RTÉ National Symphony Orchestra the sun shone and we had a display of helicopters flying by followed by a formation of seagulls who seemed to enjoy our singing. Standing on that stage, hearing the wonderful music of Handel, Sean O'Riada, Bill Whelan and Shaun Davy made me realise how privileged we were to be there. 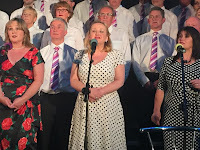 This was made possible by past and present musical directors and accompanists, long standing choir members and new members who will hopefully keep us singing into the future. After a hot lunch we were back on stage for the performance as the dark clouds gathered and the audience started arriving to sit on wet seats in blue raincoats. As we opened the concert with the Halleluiah chorus the heavens opened. 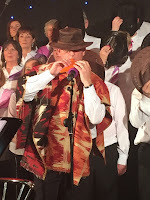 The wind rattled the roof of the stage just as our stag rattled his great horned head. 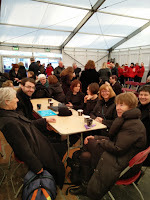 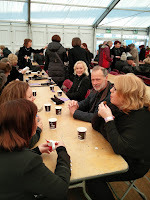 The weather did not affect the performance of the choir, the orchestra, the soloists or Paul Muldoon, the narrator. 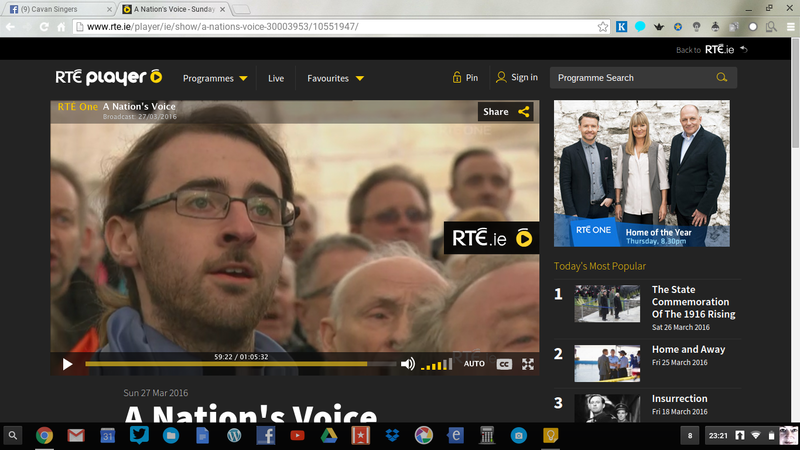 Paul Muldoon's words for One Hundred Years A Nation included a potted version of our history. 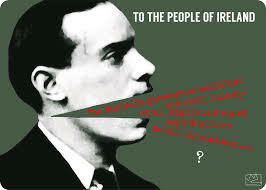 His images of the past were stark but true, unromantic but realistic and his hope for the future optimistic for our children. 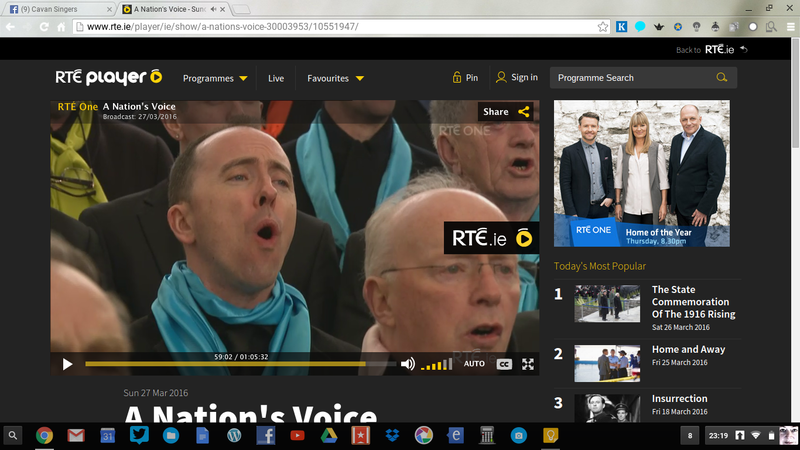 The children who sang with us on Easter Sunday will not be around for the 200 years celebration but hopefully some other children and choirs including the Cavan Singers will sing 'Let’s celebrate today, let’s hear the great stag roar...two hundred years a nation'. Click on the picture below to go to our picture album from Easter Sunday...pictures by Nora, Mags, Mary, Sue, Bríd. 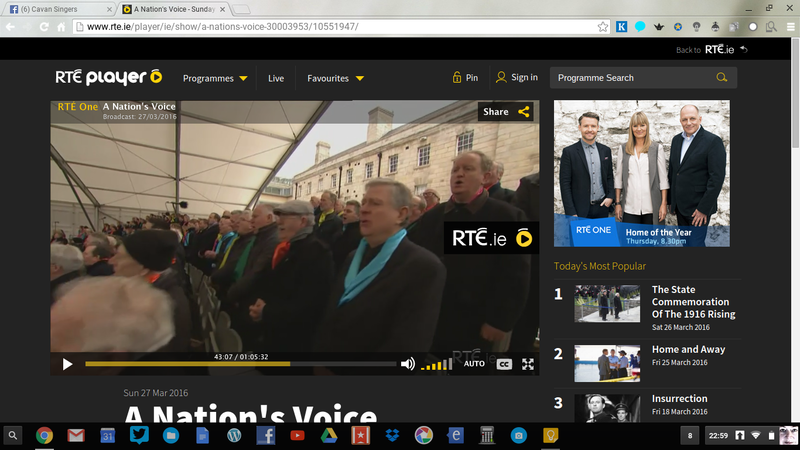 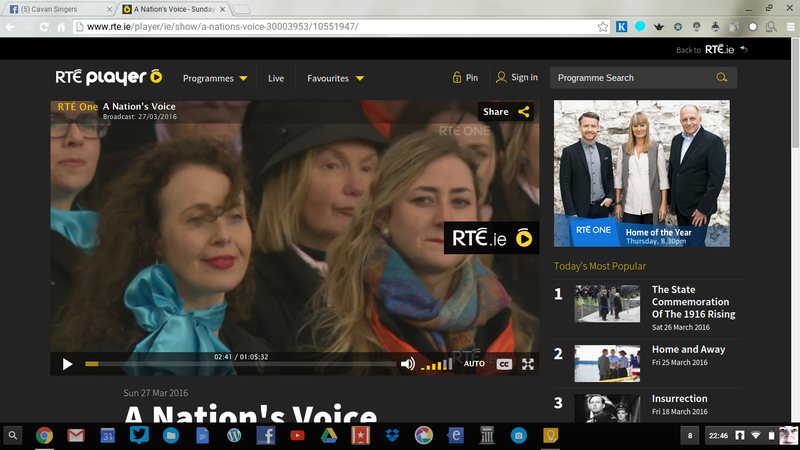 Watch the RTE broadscast on RTE Player here.